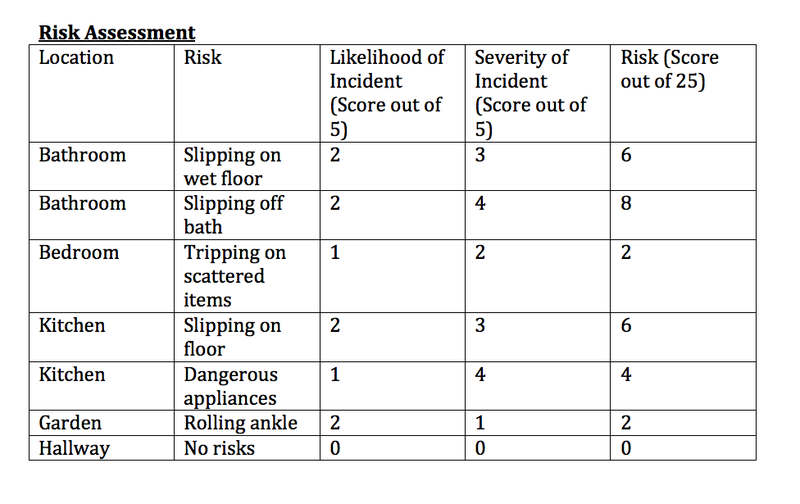 The risk assessment appears to be short but that is as the entirety of my short film is set inside or in the garden of a house. This means that there are not a great deal of risks that come with the filming of the project in contrast to if it had been set in a woods etc. I have tried to cover all potential risks such as sharp objects in the kitchen and wet surfaces in the bathroom despite these being very unlikely risks to the actors/myself.